Alex has been involved with photography since the early 1990's when he took up fine art and photojournalism as hobbies. He shot his first wedding in 1996 and has since had the pleasure of photographing more than 250 weddings. Wanting to be the best in his field of wedding photography, Alex studied portraiture and received a Bachelor's Degree from Brooks Institute of Photography. 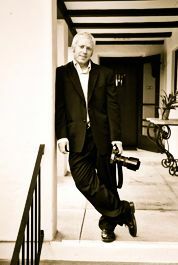 He is currently based in Southern California and regularly photographs weddings in Orange County, Los Angeles, Santa Barbara and the San Francisco Bay Area. Some venues where Alex has photographed weddings include the Ritz Carlton Laguna Niguel, Saint Regis Hotel Monarch Beach, The Huntington Beach Hyatt, The Waterfront Hilton, Bridges Lakeside Pavilion, Lake Oak Meadows, Casa Del Camino, Edwards Mansion, The Mission Inn, Rancho Capistrano, San Juan Capistrano Mission, TIvoli Terrace, Tivoli Too, The Reef in Long Beach, Cliffs at Laguna Village, Wayfarers Chapel, The Rincon Beach Club, Black Gold Golf Course and Country Club, Fullerton Arboretum, Spingfield Banquet Center, Muckenthaler Mansion, Puddingstone Resort, Park Prive, Rancho Las Lomas, La Venta Inn, Hotel Bel Air, The Beverly Hills Hotel, The Beverly Wilshire Hotel, Cabrillo Arts Pavilion, Hotel Mar Monte, The Westin Pasadena, Millennium Biltmore Hotel Los Angeles, Four Seasons Biltmore Montecito, Fess Parkers Doubletree Resort in Santa Barbara, The Intercontinental Hotel Los Angeles, Montecito Country Club, Calimigos Equestrian Center, Calimigos Ranch, Hamlin Mansion, Wente Vineyards, The Grand Tradition Fallbrook, Hotel Del Coronado, Ponte Winery, Firestone Vineyards, Gainey Vineyard, Melville Winery, Canary Hotel Santa Barbara, Rockwood Women's Club, Menlo Circus Club, Holman Ranch, The Mission Inn, Guglielmo Winery, Il Cielo Beverly Hills, Strawberry Farms, The Langham Hotel, Brookside Equestrian Center, Long Beach Hyatt Regency, Laguna Cliffs Marriott, The Crystal Cathedral, Renaissance Long Beach Marriott, Alta Vista Country Club, Laguna Cliffs Marriott Spa and Resort, Marina Del Rey Marriott, The Hamilton Ballroom, Puddingstone Resort, McCharles House The Turnip Rose, San Diego Hilton Resort, La Casa Del Camino, Norwalk Marriott, Pacific Hills Banquet Center, Lake Oak Meadows, Robert Hall Winery, Fairmont Hotel Newoport Beach, Occasions at Laguna Village, Four Seasons Beverly Hills, The Figueroa Montain Farm House and Mountain Terrace. Alex has a trusted network of wedding professionals that he often works with including DJ's, Wedding Planners, Videographers, Florists Wedding Caterers and Make-Up Artists. Scroll down to see the list. Click on any of their names if you would like to visit their websites.